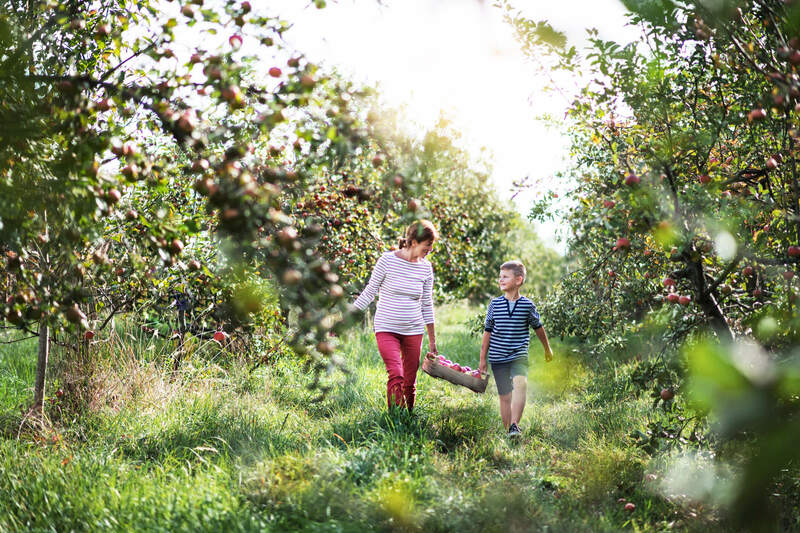 From picnics to fruit and veg picking, we’ve got five outdoor activities that’ll keep the whole family entertained on a budget. With warmer spells around the corner and a nice long weekend on the horizon, most of us with little ones will be starting to think about fun family days out - but ones that are friendly on our bank balances too. Well, look no further, because we’re brimming with outdoor activity inspiration. To add a bit of seasonality to the occasion, get creative with what you pack. To make a day of it, you could get the kids involved with a bit of baking in the morning and rustle up some Easter egg cookies, bunny cupcakes, hot cross scones or chocolate cornflake cakes. For more fun baking ideas with kids, head over here. Now, where to go. You could either head to your local park or check out what’s going on at your nearby National Trust by popping your postcode into this page. And if you wanted to add an extra Easter-y touch to your picnic, you could even plant your own Easter egg hunt around the park - just make sure no-one finds your chocolate goodies before your kids do! Fruit and veg picking is a great way to get the kids outside while getting them into their five-a-day too. There are lots of pick-your-own farms spread across the country – find and click on your region here to see your nearest. Most of the fruit and veg farms don’t charge you to get in, you just pay for what you pick so you can make it as cheap as you like. Then, why not use what you’ve picked to make dinner? For some child-friendly meal time recipes, check out these 67 easy cooking projects. If your little’uns like hanging out with animals, a day trip to the zoo could be just for you - but we know they can be an expensive family day out. So, here are some saving hacks for a few of them. Bristol Zoo: if you travel to the zoo via a green transport option (by bus, train or bike, for example) you can save 33% on admission tickets. All you need to do is show this completed voucher at the gate. Edinburgh Zoo: if you travel with ScotRail, for every paying adult, up to four children can travel for just £1 return. Better yet, you can earn free entry for one child at a top attraction - including Edinburgh Zoo. For more information, head over here. Now they’re just a few of the zoos darted across the country, but the moral of the story’s the same throughout. If you book online and in advance, you’ll almost always save a few quid, so it’s a no brainer, right? Public transport isn’t cheap, which makes getting around less and less affordable. But, with a Family & Friends Railcard, you could save up to 60% on kids’ fares and one third off adult tickets. So, with a more financially friendly way of travelling the country, why not take yourself for a day trip somewhere far away? It needn’t be expensive when you get there either. You could pack a picnic, wander around the town or city, and see if they have any free attractions. The change of scenery alone will be nice for everyone, and it’s a great way to let your kids experience more of what the country has to offer. Up to 60% off theatre tickets. For more information and the full list of offers, head over here. If none of these have tickled your fancy and you’re still after some cheap day-out inspiration, then you’re bound to find something on this list of 100+ things to do with the kids.